Insight is what you get when you sit still and pay attention. On these pages are some things I've found when I've paid attention. Perhaps you'll find something of interest here. "Coda the Bone" at two years old. "Coda" is a musical term that refers to the closing phrase of a long musical piece. 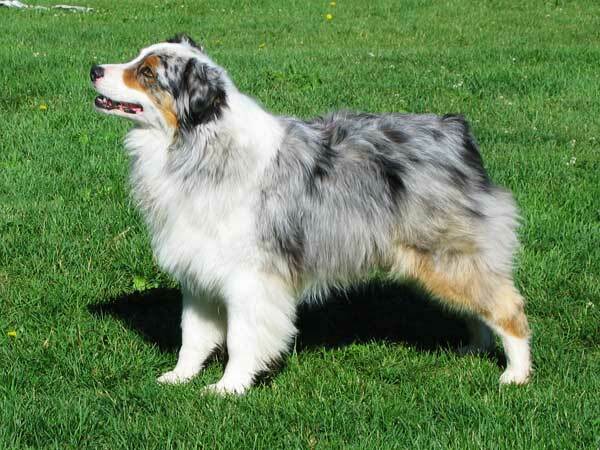 Bainbridge Kennel produced many Australian Shepherd champions in its 25-year history, and Coda was the last puppy (out of seven) of its last litter. His formal name - Bainbridge Finale - is therefore quite appropriate. His nickname "The Bone" arose from his having somewhat larger bone structure then the typical Aussie. His parentage was Ch. 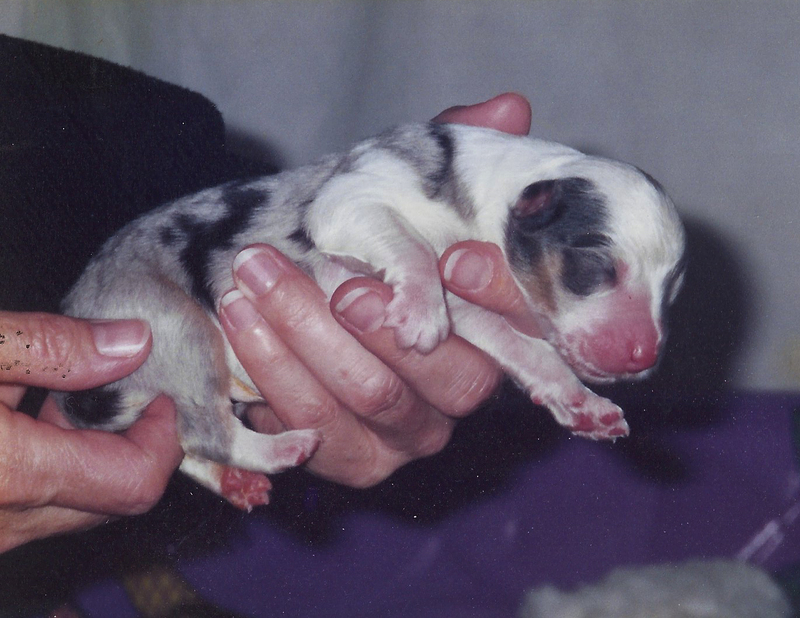 McMatt's Easy Going ("Cruiser") x Ch. JND's Spellbound ("Piper"). He was born July 11, 2003, and I had the incredible privilege of delivering him myself. Here he is just an hour after emerging into the world. On December 29, 2016 I had the equally profound experience of helping him out of the world after 13 years, 5 months and 18 days of mutual ownership. Many thanks to my friend and gentle veterinarian who assisted at his passing. Coda liked everyone whether they liked him or not, and I can't think of a single person who didn't. He was extremely friendly, especially with children, although in his entire life he played with only about half a dozen dogs. He was playful, intelligent, dedicated, and a true companion. He will be missed, and not just by me.